There are times when the smartphone should stay in the pocket. During family dinners, at special events, at school, at work, and anywhere else where your attention belongs somewhere other than the phone. While online and phone communications are the major way of talking these days, you do not want to let them get in the way of real communication. This means face-to-face talks and actually being there with and for someone. Nothing can replace personal communication. If you are with someone and texting another person instead, then just put the phone away. Always prioritize real life over digital life. Texting sexual messages or sending sexual images is not okay for a teen. For a young person under the legal age of consent, this is not only illegal, but also dangerous. These are not things that a person should share at that age, and certainly nothing that belongs on a phone. Part of online safety is knowing the apps that you download. Some apps could put your information at risk. Only allow approved apps from the smartphone’s app store and make sure that the teen chooses trusted apps. Downloading whatever looks good from pictures or descriptions may lead to bigger problems. A teen should know that family is there to help. This is less smartphone etiquette and more safety. If there is bullying or if there is something going on that could hurt others, the teen needs to tell someone. Keeping this a secret can only lead to harm. On public transport, using the phone is not a big problem. You can text or check out a site without disrupting others. Taking out the phone in a restaurant or other area with friends or family present is different. It is disrespectful to keep the phone out during these times unless you are on call for an important job. Since this is far from reality for most teens, it should stay away. At some point, you should stop using the phone. A teen could use the phone all night with the amount of content and conversations possible. This can get in the way of family time and it can disrupt sleep schedules. Make sure that the phone goes away at a set time every night rather than allowing it to stay on for as long as the teen wants. This is part normal etiquette, part smartphone etiquette. 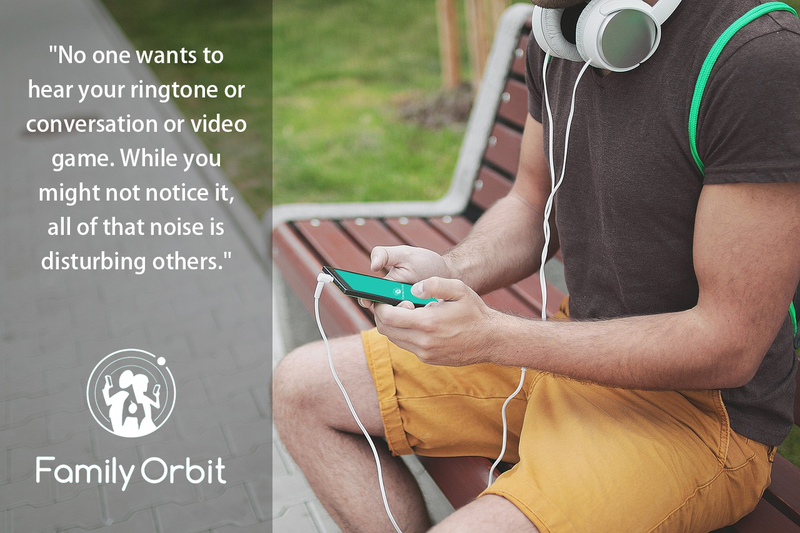 No one wants to hear your ringtone or conversation or video game. No one cares what you are doing on your phone. While you might not notice it, all of that noise is disturbing others. Whether with friends or strangers, keep that phone away. At some point, a teen will start driving. They will begin getting behind the wheel and having full control of the vehicle. If they are on the phone while driving, however, they are a danger to themselves and others. For the safety of the teen and everyone around them, it is imperative that they keep the phone down at all times while driving. Private information, such as your full name and address, should stay with you. Never share this information with strangers over the internet. This is for the safety of you and your family. You never know the type of person on the other end and you do not want to get involved with someone who means you harm. Sticking with smartphone etiquette is not that difficult of a thing to do. Anyone can do it and it is easy for a teen to follow. As long as the family enforces it, and the teen understands it clearly, you can make sure that there are strict rules and that these rules stay in place. Everyone can talk freely, there are few to no concerns for one’s safety, and everyone is getting along. People can be happy. Just remember that smartphones have a place and a time, and some uses simply are not okay for young teens. Aliya Beck is the content marketing manager at AppObit LLC with a Masters in English and a total work experience of over 10 years. Subscribe to our newsletter to stay updated on the latest blog posts and articles. Momo Challenge: How to Protect Your Child from the Latest ‘Suicide Game’? Should Parents Monitor Their Children’s Social Media?